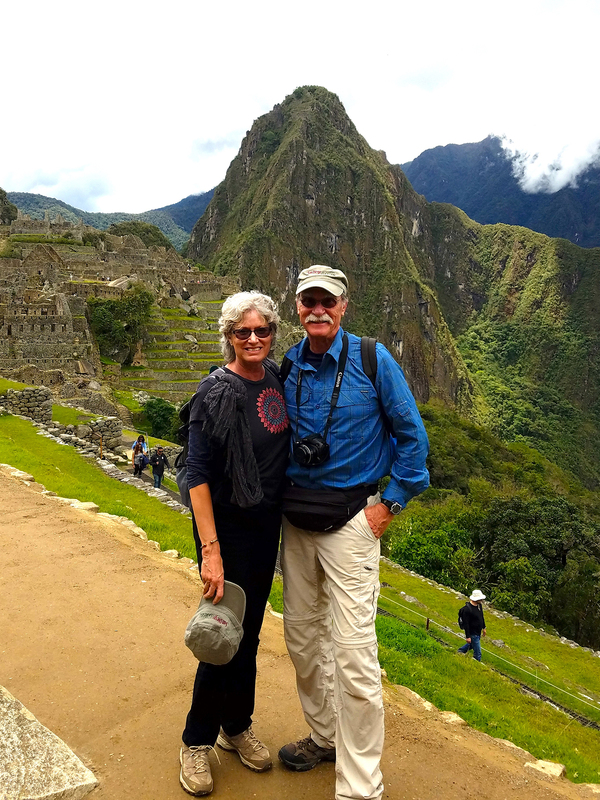 Join Julian and Leslie Duval on this 12-day adventure and achieve two travel milestones on a single journey: Peru’s Amazon rainforest and Machu Picchu, the most famous Incan archaeological site. You’ll experience the vast biodiversity sheltered among the Amazon’s tributaries, lagoons, and forests, exploring by boat and foot. Then, discover the “Lost City of the Incas,” Machu Picchu, set in the Andean highlands atop a cluster of humped emerald peaks. Along the way you’ll meet the inheritors of Peru’s natural and cultural legacy: the Quechua people who welcome you into their homes. From colorful rubber baron mansions to the mysterious Sacred Valley to the canopy of the world’s largest rainforest, this is the total Peru experience. Watch for rainforest wildlife like toucans, macaws, monkeys, river otters, capybaras, and more with the help of your naturalist guide. Board skiffs to discover the smaller creeks, lagoons, and tributaries branching off from the larger river. See the amazing spectacle of colorful macaws and parrots gathered at clay licks. Explore colonial Cusco and Lima, both UNESCO World Heritage Sites. Explore highlights of Peru’s capital, Lima—including the colonial center, the Museo Larco, and the upscale Miraflores district. Julian Duval is a native of the Chicago area and a bonafide “nature nut” (just ask him about his childhood reptile collection, which he kept in his parent’s crawl space). After high school Julian was employed for seven years at Brookfield Zoo working in the reptile house and later as a marine mammal trainer. During those years he became the proud owner of a baby Galápagos tortoise named Sam. He attended New Mexico State University where he graduated with a degree in Wildlife Management. After college Julian entered the Peace Corps to work on the development of the National Zoo in the Dominican Republic, followed by a job as Curator at the Auto Safari Chapin in Guatemala. The wonderful people and the rich, unique flora and fauna of these countries left a lasting impression. Julian returned to the US and became General Curator and later VP at the Indianapolis Zoo; it was a unique opportunity to help assist with the creation of their new zoo and botanical gardens. In January 1995, Julian moved to Encinitas and became the first Executive Director of the renamed San Diego Botanic Garden (formerly Quail Botanical Gardens). Since then, Julian, staff members, docents, and volunteers have worked hard to improve the gardens and establish a financial base insuring the future of this jewel in the crown of San Diego. Julian will be retiring in January 2019 but will continue volunteering and leading trips for the Garden. Leslie Berling Duval was born in Indianapolis and is a devoted animal lover. She spent her life dreaming of moving to the coast, any coast, to be near the ocean. Little did she know that she would be living in a historic home with a fantastic ocean view on the grounds of the San Diego Botanic Garden for 24 years. After graduating from Indiana University Leslie worked as a Pediatric RN for 38 years and is now very happily retired. Having Julian in her life has been a blessing and life has been full of travel (they were married in Nairobi! ), a 4-legged family, and lots of interesting friends. She took the docent class in 1995 and has enjoyed wearing lots of hats at the Garden. The most rewarding was being in charge of the Quail Botanic Gardens Fall Plant Sale for 10 years (which she could not have done without the help of over 100 volunteers). After retirement she wrote an award winning children’s book: “TOO BIG TO LOSE”, a heartwarming story based on the true story of Julian’s childhood pet Sam… a Galápagos Tortoise! Upon arrival in Lima, after clearing customs and collecting your luggage, you will be met by a Holbrook representative and transferred to your hotel. Early arrivals will have a secured room to check into, as it will have been booked for the night before. Please note that this is an international travel day, so there could be several different arrival times for the group. Therefore, no meals or program activities are scheduled. If you arrive on a morning flight, you will have time to rest and then perhaps explore Miraflores on your own, which is one of the loveliest, and safest, areas in Lima. *Hotel check in time is 2 pm. This morning, following breakfast, meet your guide for a short orientation. Then, venture on a guided tour of the historic district of Lima, with its iconic city square surrounded by famous museums, cathedrals, and government buildings. Complete the day with a visit to Museo Larco -- a private museum, which is famous for its exhibits of pre-Columbian art. Enjoy a light lunch (cost on own) in their café overlooking the beautiful gardens before heading back to your hotel in Miraflores. You will have the remainder of the afternoon at leisure. You can enjoy a walk along the city’s malecón, with magnificent views of the Pacific Ocean and landscaped parks, or perhaps take in some shopping in this exclusive district of Lima. This evening a welcome dinner has been arranged at a superb restaurant in Miraflores. After an early breakfast, travel to Pucusana, a small fishing village south of Lima. After a walk around the area, perhaps enjoying a beverage at one of the local restaurants, board your vessel and set out to experience the socalled "Galápagos Islands of Peru," where you’ll be able to observe sea lions, pelicans, Peruvian Boobies, cormorants, Inca Terns, and even the elusive Humboldt Penguins; the only penguin species in Peru. After your time at sea have lunch at a local restaurant then, visit La Villa Marsh for a birding/ botany walk before returning to Miraflores. Dinner is on own this evening, allowing you time to get some rest before your adventures tomorrow to the Peruvian Amazon! This morning transfer to the airport for your flight to Puerto Maldonado in Southeastern Peru. Upon arrival, you will meet by your Amazon guide and drive ten minutes to Puerto Maldonado headquarters to drop off any luggage you may want to store during your time in the Amazon. You will then transfer about 12 miles to the Tambopata River Port, entering the native community of Infierno. Board a boat for a two and a half hour ride from the Tambopata Port to Refugio Amazonas. The boat ride will take you past the community of Infierno and the Tambopata National Reserve’s checkpoint and into the buffer zone of this 1.3 million hectare conservation unit. Upon arrival to the lodge, the manager will welcome you and brief you with important navigation and security tips. Settle in and enjoy some free time before dinner. After dinner, there will be an optional night walk or caiman search. This morning paddle around the lake on a canoe or catamaran, looking for lakeside wildlife such as hoatzin, caiman and Horned Screamers, hoping to spot the otter which are infrequently seen here. Later enjoy a 30 minute walk to the 25 meter (82 feet) scaffolding canopy tower. From here views of mixed species canopy flocks as well as toucans, macaws and raptors are likely. After lunch visit Don Manuel’s farm where a variety of both popular and unknown Amazon crops are grown. Before dinner learn about the medicinal uses of the plants and trees in the area. This morning depart at dawn to the Macaw clay lick (15 minute boat ride and 60 minute walk). You will have comfortable seating in the blind, while enjoying breakfast as you wait for the macaws to group up and begin their spectacle. Enjoy and stay as long as needed (2-3 hours). After lunch, hike a few minutes from the lodge to a beautiful old growth patch of Brazil Nut forest that has been harvested for decades. Here, enjoy a demonstration showcasing the whole process, of the rainforest’s only sustainable harvested product, from collection to transportation to drying. Later this afternoon visit a peccary clay lick. These wild rainforest pigs show up in herds of 5 to 20 individuals to eat clay, chances of spotting them are around 15% but well worth the short hike. Following breakfast, depart the lodge and return to the boat docks at the river port. Returning to Puerto Maldonado, check in for the Avianca flight to Cusco, arriving at approximately 1:30 pm. En route to your Sacred Valley hotel, stop for a visit at the Awanacancha Alpaca Center and learn about the four different Camelids (Vicuña, Llama, Alpaca, and Guanaco) found in Peru. While viewing the animals, take note of the differences so that you can tell them apart during your travels. After arrival at the hotel, the remainder of the late afternoon is free to explore your new surroundings before dinner at the hotel. After breakfast, enjoy coffee and a presentation given by your local guide on life in the Sacred Valley during the time of the Incas. Next, visit the town of Ollantaytambo and the famous Inca ruins. Learn about the history of this area and the agriculture of the Incan civilization. Afterward, stop at a local market and have an on-site discussion on the importance of the Sacred Valley as the ‘farmer’s market’ for the Inca Empire. Identify and learn about the fruits and vegetables that are unique to this region. Continue on to Chinchero to visit a local weaving community, where you will learn which ancient traditions are still practiced by modern day descendants of the Inca. Enjoy lunch with members of a local family. End your day with an ancient Pachamama ceremony led by a shaman. Return to the hotel for dinner and overnight in this tranquil area of Peru. Following an early breakfast, transfer to the Ollantaytambo Railway Station for your journey to Aguas Calientes aboard the fabulous PeruRail Vistadome train. Enjoy the amazing scenery from your seat through the panoramic windows, as you follow the Urubamba River downstream to your destination. Upon arrival check in at the hotel (leaving your luggage with the concierge as it will be too early to enter your rooms), and then take the bus to the top of the mountain for lunch at Sanctuary Lodge, located next to the entrance of the ruins. After lunch, begin your guided tour of Machu Picchu. Machu Picchu, known as "The Lost City of the Incas," is probably the best known, yet least understood of all Incan sites. Apart from a few locals, nobody knew of Machu Picchu’s existence until 1911, when American historian Hiram Bingham stumbled upon the thickly overgrown buildings almost by accident. The quality of the stonework and the abundance of ornamental sites indicate that Machu Picchu must have been an important ceremonial center; the city’s history is constantly being studied. After your tour, enjoy your beautiful hotel, which features an amazing garden, full of orchids and native species. Dinner will be at your hotel this evening. After breakfast, meet your guide for another chance to see Machu Picchu. With the new rules in this protected area, there are limited numbers of people allowed to visit, and for a limited period of time; you also must be accompanied by a guide. After your time at the ruins, return to your hotel for lunch and have more time to walk through the gardens before boarding the Vistadome train for your 3-4 hour ride to Cusco. Upon arrival in Cusco, a bit past 9 pm, you will be met and transferred to your hotel. Dinner is at the hotel this evening. After breakfast, head on a guided city tour exploring colonial Cusco, including a visit to the Koricancha Temple. You will also be able to take in the Inca Ruins that surround Cusco, including Sacsayhuaman, one of the region’s most renowned examples of Incan architecture. Then visit Pukapukara and Tambomachay. Tambomachay, "Bath of the Inca," which is the most peaceful of the ruins in Cusco is located very close to Pukapukara, and is the site where the Incas went to cleanse their bodies and minds of evil spirits. The ruins consist of a network of canals and small waterfalls. The spring water has never run dry, leading to the thought that it is also a possible "fountain of youth." Historians believe that Pukapukara was used as a guard post protecting access to Cusco from the invading tribes of the Amazon. Afterward, return to your hotel to relax, have lunch at the hotel or at a local café before your transfer to the Cusco airport for your flight to Lima. Upon arrival in Lima, you will either check in for your international flight, or check in for your overnight at the Wyndham Costa del Sol Airport Hotel (at additional cost). If your flight departs this evening, you will have the option to use the airport’s VIP Club (at additional cost) located in the international terminal. The ticket cost allows up to 4 hours of access to the VIP lounge and its services, include a buffet (finger foods and hot/cold beverages), bar, Wi Fi, business center, toilets and showers, lockers, TV area, and a terrace. If your flight left late Nov.5th, you will arrive this morning in your home city. If you flight departs this morning, check-in on own - your flight will arrive later today or this evening in your home city. Locally transmitted cases of Zika virus have been reported in Peru. Local transmission means that mosquitoes in the area have been infected with Zika and are spreading it to people. The CDC recommends that travelers to Peru protect themselves from mosquito bites. As a precaution, the CDC advises women who are pregnant to consider postponing travel to any area where Zika virus transmission is ongoing. Transmission risk is reduced in areas above 6,500 feet in elevation. I love the flexibility of Holbrook in planning trips. They always try to accommodate my wide range of interests and level of activity. I haven’t been on a trip with this many "bucket list" items in years! Well planned and executed. The trip was absolutely wonderful and will be hard to beat!